The Surrey S-Band Quadrifilar Helix antenna provides a cost-effective downlink antenna solution for a wide range of LEO missions. It is capable of supporting high data rates and RF power, and the design provides a low physical footprint with an optimal gain pattern. Surrey's Quadrifilar Antenna can downlink Payload data at data rates up to 10Mbps Data Rate at S-Band frequency and can also be used to downlink Telemetry data. 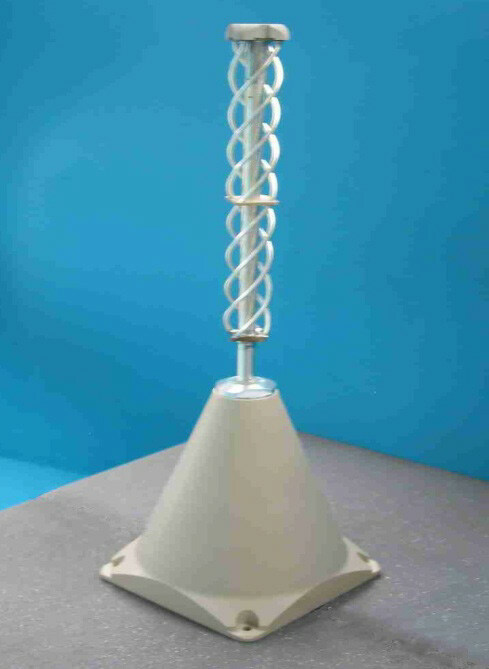 This antenna produces a cardioid pattern with a nadir null to ensure constant power flux density at the Earth’s surface throughout the duration of a pass.